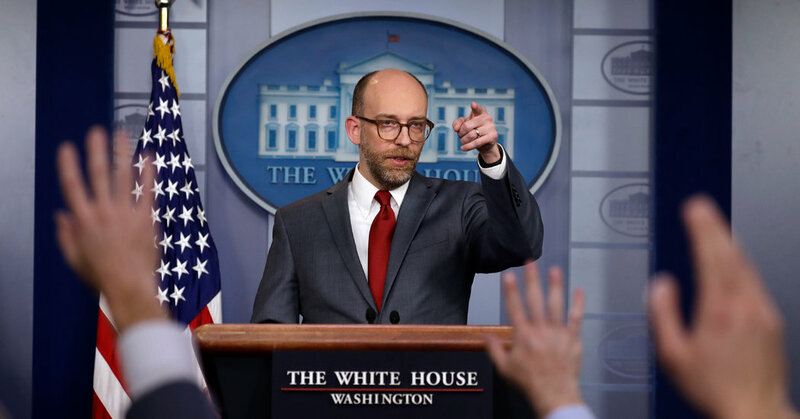 WASHINGTON — The White House moved to exert greater control over the federal regulatory process on Thursday by imposing additional scrutiny over independent government agencies when they establish new policies, guidelines or rules that affect large swaths of the economy. The new policy was laid out in a memorandum written by Russell T. Vought, the acting director of the Office of Management and Budget. It broadens the scope of rules that would be subject to White House review and scrutiny by Congress through the Congressional Review Act. The additional oversight would apply to agencies such as the Securities and Exchange Commission, the National Labor Relations Board and the Federal Reserve. The White House review would not apply to the Fed’s authority to set monetary policy but would affect its regulatory arm, including rules on the banking system. The move comes as President Trump, frustrated by the Fed’s interest rate increases last year, has moved to install loyal allies on the Fed’s seven-member board. Heightened scrutiny of federal rule-making has been a longtime cause of Republicans, who view it as a way to limit government. The Trump administration has also been wary in some cases of independent agencies, which are often managed by both Republicans and Democrats. Mr. Trump has made deregulation a pillar of his economic agenda and has instructed his officials to scale back rule-making — and in some cases enforcement of existing rules — that he maintains will unleash business. The president has also signed numerous executive orders directing agencies like the Environmental Protection Agency to speed up projects and relax certain rules that businesses said were a hindrance. But some consumer watchdog groups met the action with skepticism. A senior administration official played down the scope of the memorandum, saying that it simply provided clarification that guidance documents were covered by Congressional Review Act statutes and needed to be reviewed to determine their economic effects. According to the memorandum, proposals that have an effect of $100 million or more annually on the economy would be considered “major” and would require a review by Congress. The administration official said Obama-era guidance on joint employment and independent contractors that the Trump administration reversed in 2017 was an example of the type of policy that would be submitted for such a review. That guidance had increased the likelihood that companies could be held responsible for labor violations committed by contractors and franchisees.